Want to have glowing skin? Tired of dealing with blackheads every time you wash your face? Want to look 10 years younger? It may sound like a pipe dream, but your skin health is just as easy to get in shape as the rest of your body. By adding a few steps to your daily routine, your skin will be thanking you. Before buying a $20 skincare packet that doesn’t do much for you experts offer free advice online that won’t put a hole in your pocket. One tip that nutrition experts might suggest is simply drinking more water. On average 75% of the American population drinks less than the prescribed water amounts by the Institute of Medicine. On average you should be drinking at least eight 8-ounce glasses per day. Water has been shown to improve your dry flaky skin and by drinking large quantities each day, you should see a change in your skin health in less than two weeks. If you are supposed to fill up on water each day it shouldn’t surprise you another way to keep your skin healthy is moisturizing daily. 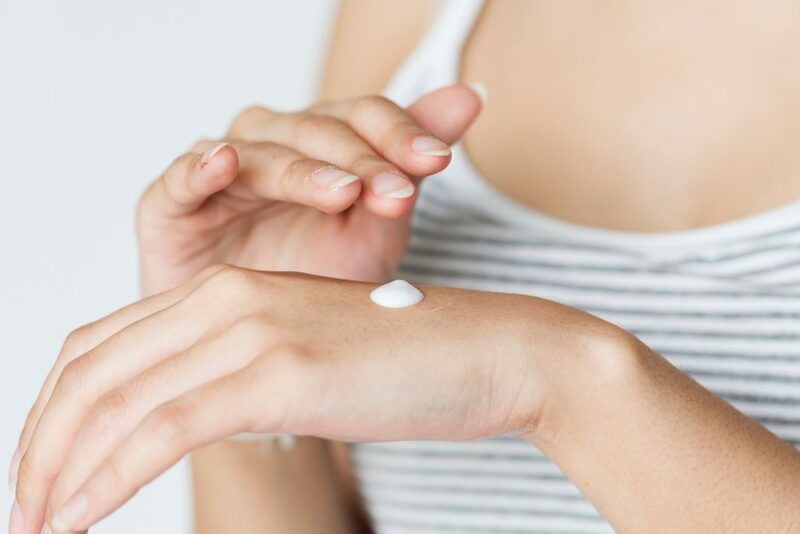 Moisturizer helps keep skin soft and by getting the right product (without all the extra) can help soften and hydrate your skin. Are you already a health freak but haven’t seen much change in your skin health? Maybe its time to take it a step further with supplementing key nutrients you’re missing. Experts suggest taking high-quality multivitamin daily that is high in vitamins A, C, E, D, K, B3, B5, choline, and folate. These vitamins specialize in helping skin health and can help you fill up on the vitamins you’re missing. Don’t forget about updating your current diet! Some foods have been proven to cause acne breakouts for your skin and health specialist warn to avoid these foods. Whether its white bread, bagels or popcorn; red velvet as well as yogurts and cappuccinos, there is much that can force you to break out. Try to avoid these foods high in refined grains, sugars, milk products, and fast food. Last but not least its important that you sweat in order to clean out your body. Sweating is natural and great for keeping your skin clear. Try working out or going for a jog, anything that will make you sweat in order to keep your skin clean and clear. For more tips check out this quick article.